Inman Select was launched to provide real estate agents and brokers with a reliable, specific source for the news and information they need to thrive in the real estate industry. And it’s helped hundreds of real estate professionals identify areas for improvement, plan and execute change and stay on top of rapid industry shifts as legal issues, consumer sentiment changes and technological advancements change how business is done. Sherri Johnson is the CEO and founder of Sherri Johnson Coaching & Consulting, LLC. She’s worked in residential real estate for 21 years, and she was “directly responsible for leading more than $1.6 billion in annual sales” in addition to recruiting, training and coaching thousands of real estate agents. “Creating and building strong brand culture and turn-around change management are some of my strongest skills,” she explains. She’s been an Inman Select subscriber since the subscription service was launched and has been reading Inman for at least six years. While I am proud of every stage of my real estate career, my greatest accomplishment was most likely taking over management of a 10-office region and growing it to 13 offices, taking it from $700 million to $1.6 billion in annual sales volume, growing the agent base by 40 percent from 500 to 700, opening new offices and expanding to new territories quickly and with great success. As a top agent, I ranked in the top 21 in my company (out of 1,700 agents) and in the top 5 percent nationally. As a top managing broker and regional manager, my team and I received the Top Office and Top Region Awards annually for leading in sales, profitability, and mortgage, title and insurance adoption and referral rates. Ultimately, my greatest accomplishment has been taking my drive, passion and purpose of a 20-year plan to create this national speaking, coaching and consulting business to share my systems and solutions with others to accelerate their growth potential. I love to challenge and inspire others to reach their goals and literally change their lives. I use Inman Select to help me grow and stay ahead on technology in real estate so I can educate my management team and sales team. It’s very useful and relevant. Both Inman Select and Inman Connect have the best return on investment in the industry. By far, this company is the leader and expert on all things real estate. Relevant. Cutting-edge. Invaluable. Not be what it is today! Want to connect with Sherri? You can find her online, Facebook, YouTube and LinkedIn. 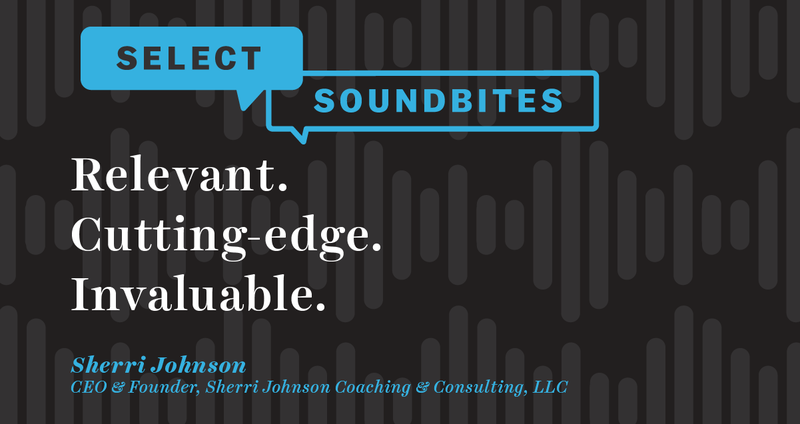 Email Shawna Strayhorn, Director of Subscriber Growth, to share your Select Sound Bite!